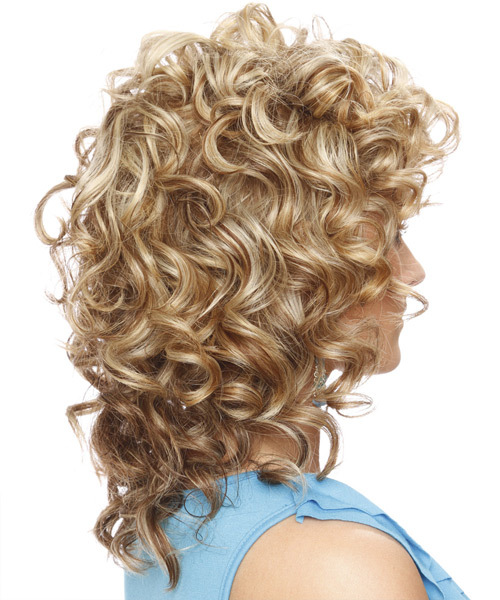 A combination of short to long layers cut all through the top, back and sides allows the curls to bounce for maximum volume and body. The fullness of this look makes it best suited for those with long face shapes and will need strong hold product to keep in place. 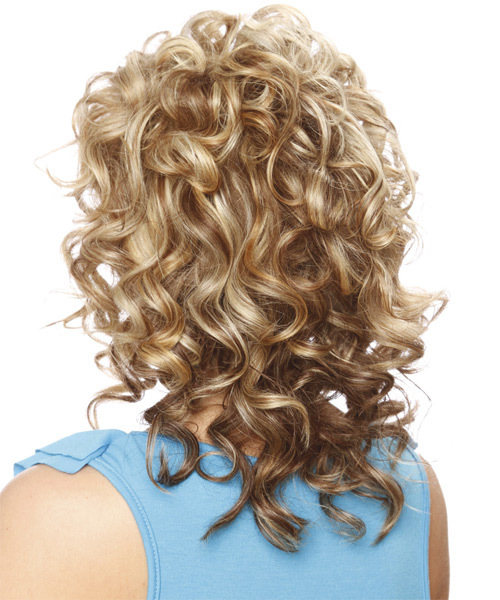 A small hot roller is used to give your hair tighter curls. Take a section of hair from the front of your head no wider than the diameter of the hot roller and comb it through to ensure there are no knots. Place the roller at the ends of the section of hair, being sure to smooth the ends under, and then twist the roller down the hair shaft until it meets the top of your head and then secure it in place with a pin or clip. Continue this step until a row of hot rollers has been applied along the very top of your head. Keep the rollers in your hair until they cool.